The worlds longest running Bigfoot Conference is set to resume on April 18, 2015 2 to 8 pm at the Salt Fork State Park Lodge. Your Host and Master of Ceremonies Don Keating brings back a tradition to Ohio. On this website you will find information on speakers, accommodations, itinerary, and tickets. Please check back to this page for updates as they become available. Meet and Greet … Friday evening in the “Ball Room” from 6-9 p.m. with the speakers whom have already arrived as well as myself. NO ADMISSION CHARGE!!! Conference from 2 until about 8 p.m. on Saturday. General admission tickets will fly out the door quickly. They are $15 each. Current or former members of the Military will receive $5 off ticket price with proof of Military service (ID Badge, whatever) There will be an auction of items that will have been donated as well as several items from my OWN PERSONAL COLLECTION! If you have an item(s) you’d be willing to donate please contact me ASAP. VIP tickets still available. Contact me directly (eobic@yahoo.com) or go here to place your order. They are limited so go, order now!!! There will be ONE Door Prize winner of $100 at the conference. You MUST be present to win!!! At this time there is a tentative cookout planned for Sunday!!! I will give you full details during the conference IF it is a go, or not. Conference t-shirts will be $20 each no matter the size. If you wish to PRE-ORDER a shirt(s) get back to me ASAP. The order goes in for them in the next couple of weeks! Finally, there will be a moment of silence at the start of the Conference as one of our longtime members has passed away. Veronica Burchette passed away back on February 7th. 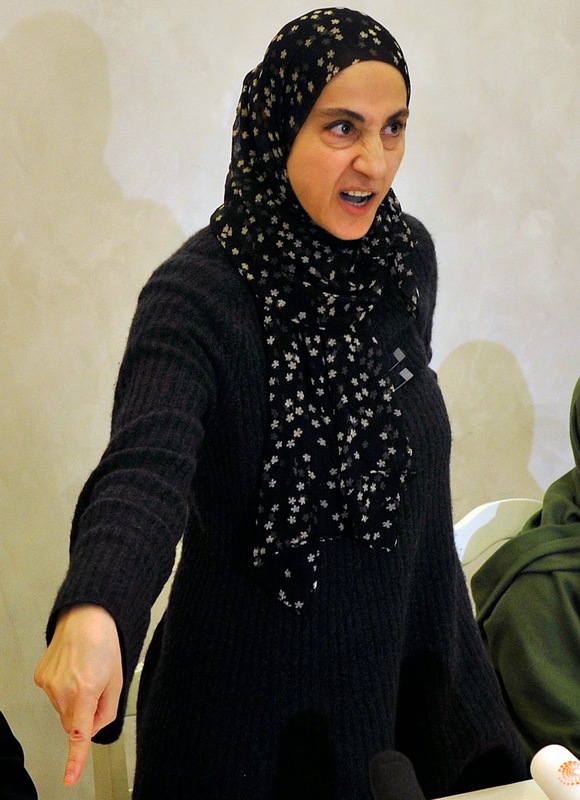 The mother of Boston bomber Dzhokhar Tsarnaev has furiously bashed Americans and promised that the US “will pay” for convicting her “innocent” son and killing his older brother. Just moments after learning that her 21-year-old was found guilty of all 30 counts in the Boston Marathon bombing trial Wednesday, Zubeidat Tsarnaeva sent an angry tirade to the technology website Vocativ through the WhatsApp messenger app. “[The US] WILL PAY FOR MY SONS AND THE SONS OF ISLAM, PERMANENTLY!! !” she fumed in Russian. “THE TEARS OF THEIR MOTHERS WILL BE FUEL FOR THEM IN HELL. Vocativ had managed to obtain Zubeidat’s phone number by locating pictures of her holding signs with the digits. The images were posted on the Russian social media site VKontakte as part of a previous fundraising effort to support the Tsarnaev family in the wake of the 2013 attack. Vocativ had also stumbled upon the post in VKontakte. Zubeidat, a Russia native, has always insisted that her son Dzhokhar is innocent — despite the fact that he admitted to the 2013 attack, which left three people dead and 260 others injured. Ralph Body was booted from a luxe Long Island City apartment building — for being too accommodating to its well-heeled tenants. Body, 41, said he “gave his life” to the glimmering Queens tower called 27 on 27th ever since it opened two years ago a few blocks from the East River. He didn’t just hold the door. He did anything and everything residents asked him to do — check on pets, clean litter boxes, water plants, hold packages, even show $4,200 apartments to new tenants if need be, he said. “Everything I did, somebody asked me to do, or there was a need for it,” Body said. But the door suddenly slammed shut on the collegial “Melrose Place”-like atmosphere last Sunday, when the staffing company that placed him at the posh building told him “upper management” wanted him out, he said. “But they said, ‘You do things for them which you shouldn’t be doing. And unfortunately, in this case, nice guys finish last,’ ” he continued. Body said he was “shocked” at being shown the door — and so were tenants who are now rallying to bring him back. Residents told The Post that Body was one of the main reasons they chose to live at the 27-story building, which boasts dazzling views of Manhattan, a yoga room, gym and game and film rooms — but competes with similarly outfitted towers rising in Queens. “Ralph made this different than other luxury buildings,” said the tenant who started the petition, who asked to remain anonymous for fear of retribution from building management Heatherwood Communities. A paper petition that the petition organizer left in the lobby mysteriously disappeared the next day, the tenant noted. “I would definitely have to think twice about my [lease] renewal now,” the resident said. Tenants blamed Heatherwood for Body’s removal — not staffing company PBS Facility Services, which Body said has promised to find him work at a different building. But for now, the only door he’s opening is to his apartment in the West Village. “They said I have to sit tight and wait,” Body said. In an e-mail to tenants obtained by The Post, Heatherwood says there has been “misinformation” about Body’s removal. “It was recently brought to our attention that Ralph did not follow PBS’s policies and procedures and after being spoken to several times, it was their decision to reassign him to another building,” the letter reads. But residents aren’t buying it. One of President Barack Obama’s former pilots not only says he believes in UFOs and tells in great detail about the time he saw one while flying over Iowa. Andrew Danziger, a 28-year airline veteran who was one of Obama’s pilots during his 2008 presidential campaign, told his story to the New York Daily News. Danziger says his close encounter happened in 1989 while flying from Kansas City to Waterloo, Iowa. He describes it as a beautiful evening, with clear skies. He says both he, and Bruce, the captain, had noticed a white disc in the sky. For 30 minutes, that disc remained in the sky. “We got busy with our flying duties and for a short while, maybe for a minute, both of us had looked away from the disc, but when I looked up at it again I saw something that has been burned into my memory,” Danziger writes. As the plane slowly descended to the ground, and was at 13,000 feet, the ball began a descent as well. In about 30 seconds, like a setting sun but not nearly as bright, it vanished behind the clouds. The instant it fully disappeared, hundreds of lights began flashing from within the clouds. He insists they had no idea what they say, they were certain it wasn’t from this earth. 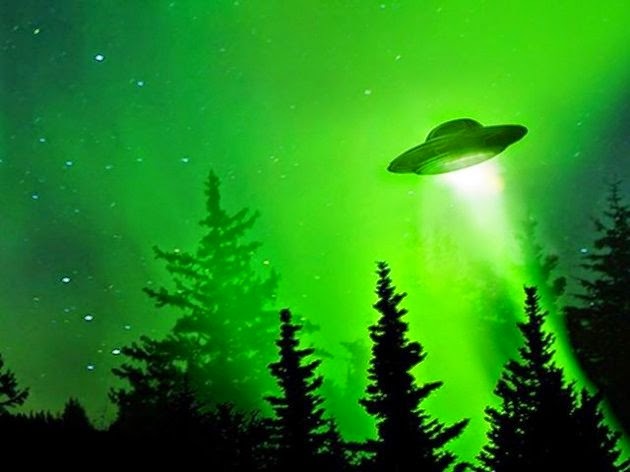 Danziger says that as a pilot, he has lots of company in his belief that UFOs do exist. I’m not going too far out on a ledge to say that virtually all pilots believe in UFOs. 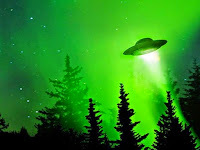 Little green men, “close encounters”, alien kidnappings,… not so much, but with billions of stars and trillions of planets out there, “ya gotta believe”, and almost all of us do. Four Gold Miners Killed by Sasquatch!